People Are Coming To Washington, DC On Sat. March 30 From Around The World And Across The United States To Confront NATO And Defend Venezuela. This Week, Foreign Ministers Of NATO Nations Are Coming To Washington, DC. On Their Agenda Is War And Military Action Against Venezuela. Antiwar Activists Will Be There In Force To Show Them The People Oppose Military Action And Regime Change Against Venezuela. A week of actions begins on March 30 in Lafayette Park and continues until protests at the US State Department on April 4 where NATO will be meeting. Last week, Venezuela uncovered a US/Guaido plan for a terrorist campaign in Venezuela funded by $1 billion in assets stolen from Venezuela. They planned to attack infrastructure including the electric grid, and the presidential palace which is the seat of government. They also planned to conduct assassinations including killing President Maduro as well as bribing members of the military to join them. Guaido’s chief of staff was arrested as the key planner of this terrorist campaign. In response to uncovering this terror plot, on Friday, March 22, the US imposed sanctions against the Venezuelan Economic and Social Development Bank(BANDES). 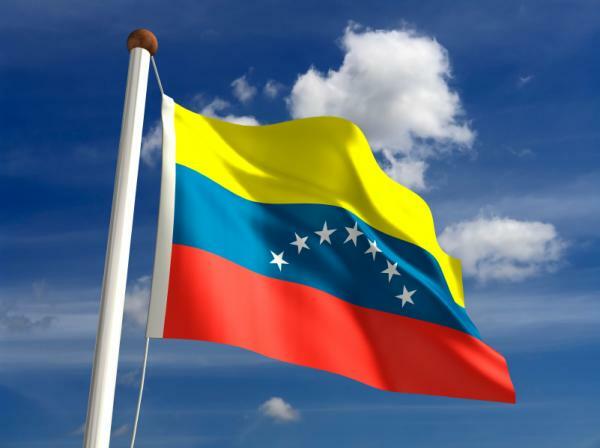 This comes after sanctions were imposed earlier in the week against the Venezuela General Mining Company, Minerven and is part of a series of economic attacks to destroy the Venezuelan economy. The US war machine is on an aggressive track to overthrow the legitimate Venezuelan government and undermine the gains of the Bolivarian Revolution. The people of the United States must stand in solidarity with the Venezuelan people and oppose the US economic war, coup campaign, terrorism and threats of war. Juan Guaido, the US puppet, has called for US troops to enter Venezuela. Guido pretends to be president but he is a farce who is acting in violation of Venezuelan law and committing treason against Venezuela. The Venezuelan people continue to flood the streets to demand: US Out! Yankee Go Home! We must do the same in the United States. The people of the US must escalate pressure against Trump’s threats of war on Venezuela. We must stand with people around the world in solidarity with Venezuela. Join activists and peace-loving people from across the world who are converging on Washington, D.C. this March 30th. We will meet in front of the White House that Saturday at 1 pm to tell Donald Trump, his generals, and his Wall Street backers that the people of the world call for an end to racist and imperialist institutions like NATO and oppose attacks on the independent, sovereign nation of Venezuela. For more information visit No To NATO 2019. Tags: No War, Venezuela, Washington D.C.